Beji Caid Essebsi has been sworn in as Tunisia’s president after winning the country’s first free presidential poll. Beji Caid Essebsi, 88, secured victory last week over incumbent Moncef Marzouki. His triumph means Tunisia – where the Arab Spring began – remains the only Arab country to move from authoritarian rule to democracy in that period. 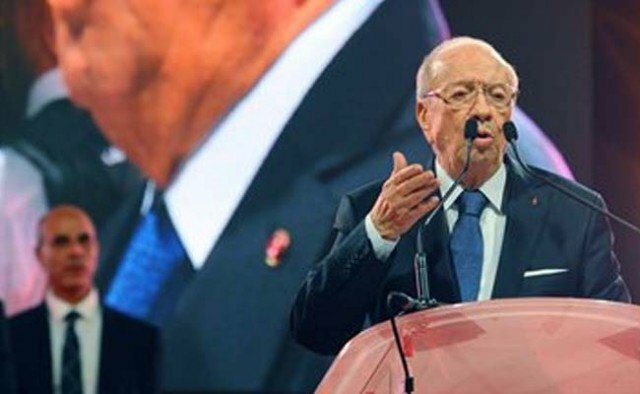 On December 29, electoral authorities confirmed that Beji Caid Essebsi had won a run-off vote against Moncef Marzouki. The new president took his oath of office at a ceremony in the newly elected parliament – where his party Nidaa Tounes also holds the largest number of seats. The swearing in comes four years after protests that eventually toppled President Zine al-Abidine Ben Ali in January 2011. Journalist Naveena Kottoor in Tunis says that while this is the latest democratic milestone for Tunisia, many in the country are arguing that political transition will only succeed if newly-elected politicians usher in social and economic changes. Beji Caid Essebsi has urged all Tunisians to “work together” for stability but critics say his win marks the return of a discredited establishment, pointing out that he served under President Zine al-Abidine Ben Ali. This month’s vote was the first time Tunisians have been able to vote freely for their president since independence from France in 1956. The new president will have restricted powers under a constitution passed earlier this year. Beji Caid Essebsi will be commander-in-chief of the armed forces but can appoint or sack senior officers only in consultation with the prime minister.